Having a party, family reunion or church event? No worries. We Got You Covered! We customize your menu to fit your budget, no matter how small or large your event is we can help. If your budget is $300.00 or $3000.00, we are able to deliver your needs. We specialize in American Soul Food and Jamaican Cuisine. We have developed our homemade rub and BBQ sauce, which highlights the unique flavors of the American Soul Food and Jamaican cuisine. If your budget is $300.00 or $3000.00, we are able to deliver your needs. Have my team and I cater your next breakfast, brunch, lunch or dinner event(s). All meals ranges from $8.00 to $35.00 per serving. 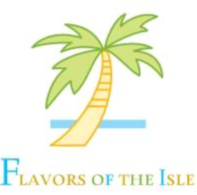 The company is named Flavors of the Isle for a reason. Our dishes are flavorful and filling. You can choose the meals in advance from our menu or custom your meals to your preference.